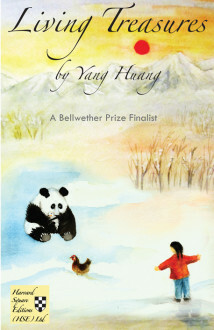 About the Book: What do a law student and a panda have in common? When Gu Bao is hunted by one-child policy enforcers, she finds out what it feels like to be an endangered species. Set in China during the tumultuous Tiananmen Square protest in 1989, Living Treasures portrays the crusade of Gu Bao, a girl who grows up under the Chinese government’s one-child policy. The Chinese government has enforced strict controls to keep the country from environmental destitution and poverty ever since Mao’s ban on family planning left China a legacy of 1.1 billion people, 20% of the population on earth. Bao searches for her inner strength while exploring the Sichuan mountain landscape. She befriends a panda mother caught in a poacher’s snare, and an expectant young mother hiding from villainous one-child policy enforcers bent on giving compulsory abortions. All struggle against society to preserve the treasure of their little ones. Bao devises a daring plan that changes the lives of everyone around her. Will Bao earn a second chance to save a family from destruction? What price will Bao pay to prevent a full-term abortion and save a panda cub? About the Author: Born and raised in mainland China, Huang was nominated for the Pushcart Prize. Living Treasures is Huang’s debut novel. She is represented by Barbara Braun and has had short stories and a feature-length screenplay published in literary magazines including the Asian Pacific American Journal, The Evansville Review, Futures, Porcupine Literary Arts Magazine, Nuvein, and Stories for Film. Huang works as a computer engineer for U. C. Berkeley and a writer by vocation. She came to the U.S. shortly after taking part in the 1989 student movement. 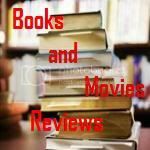 My Review: This is a very well written and very touching story, about a young lady named Gu Bao who is studying to be a lawyer so she can protect people against government abuse in China. Her life takes a turn during the student's demonstration against the government in Tiananmen Square in June 1989. She becomes involved with a soldier, and her story develops at a nice pace. Her struggle dealing with her parents over an abortion, her move to live with her grandparents for a while, and the development of a friendship with an expectant mother who is hiding in the mountains from one-child policy enforcers to safely deliver her baby, all these situations are richly described, exploiting all the psychological angles, showing the struggle in Bao's young mind to do the right thing. This novel makes us wish that this was really just a work of fiction and nothing that is described here really did happen in China, but I believe that this is only a wish. When a government tries to repress the free will of its people, it loses legitimacy and from there on, does not represent the people's will anymore. I recommend this book to the permanent library of all readers who enjoy a very well written work of fiction, on a very timely subject, that will keep them entertained for hours. I received a copy of this book from the author through the publisher (thanks, Simone from Harvard Square Editions!) and I was not requested to write a positive review. Opinions expressed here are my own.